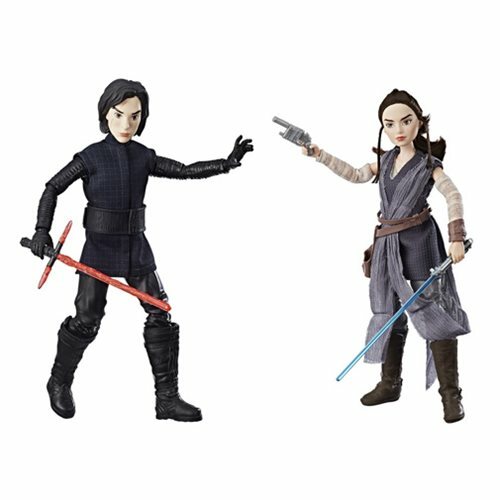 Get ready for a fight with the Star Wars Forces of Destiny Rey and Kylo Ren Adventure Doll 2-Pack! Dolls of Kylo Ren and Rey fight for the Force with lightsabers, complete with action-slashing battle attacks. You'll marvel at the cloth costumes and real rooted hair, with doll-like features you'll enjoy. Don't miss these 11-inch scale adventure figures!